During a unit of study about birds, the children in our preschool class began asking many questions about bats. After investigating and finding out that bats are not birds, the children became very curious about them. We invite you to learn along with us by following this website. 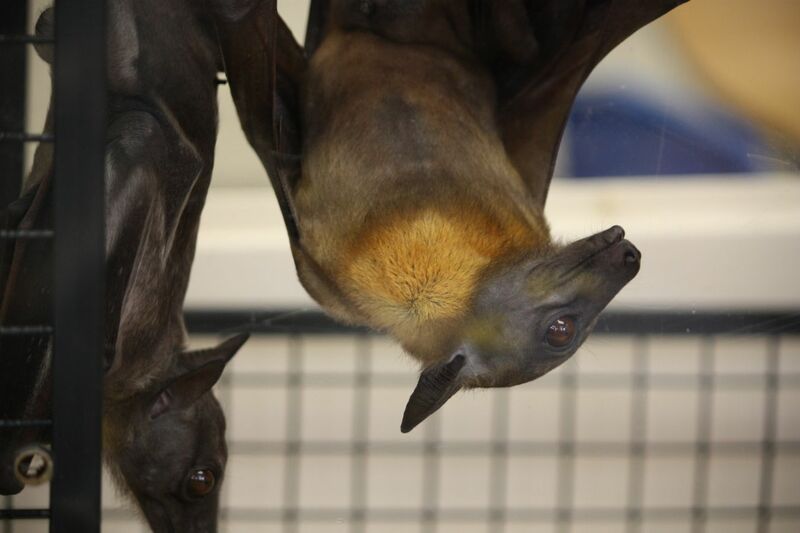 See a slideshow of NJ's own "Batman" visiting us with Straw Colored Fruit Bats Luna and Louie (and two Sugar Gliders)!